How would you like to read a story without reading what it is about first? Yes? Do you like science fiction? Also yes? Do you have an hour or less to kill today? Perfect. Here, read this book. Why? Just trust me. You’re really going to like it. This short and simple conversation could be a good way for a reader to introduce to another Matthew Isaac Sobin’s first published work The Last Machine in the Solar System. This novelette was the second place winner in the Inkshares The Sword & Laser Collection Contest: The Sequel in 2016 and offers a short, yet incredibly intriguing take on the future of mankind. Sobin is a welcome addition to the writing world, especially to the ever-growing hard science fiction genre. He has most certainly made an impression by making a short work of science fiction set a couple billion years in the future believable. Rather than creating an intense thriller of the end of a world, The Last Machine in the Solar System intrigues the imagination with a being older than can be imagined coming to terms with its death. He captures a reader’s attention as soon as they read the first paragraph with a style of writing that can be best described as tranquil. The being aforementioned is, of course, a machine. Not only because that is revealed in the title of the book, but also because who or what could survive for two billion years and live to tell its story? This machine was created by an incredibly intelligent human named Nikolai during a time when the seas were rising, the sun was getting hotter, and mass evacuations to move humans and animals to Mars were underway. Nikolai may be the human introduced in the story, but the story is not told from a human who is seeing the end of the world. What makes the story so intriguing is the fact that Jonathan, the conscious human-like machine Nikolai created, is the one telling its story. Jonathan has already seen the end of the world and is now coming to the end of its own life. Even though it knows no one will read it, it writes a last will and testament before its end, recollecting all it has witnessed in its long life and the purpose its creator gave it to fulfill. This novelette feels like a mixture of Tim Burton’s Edward Scissorhands, Mary Shelley’s Frankenstein, and Nannybot A3-4’s Pet Human, a very fascinating combination that works very well for the story. Nikolai wishes to create a being that can feel and fulfill a purpose, but rather than dying before his creation can fully develop or running away because he is afraid of his creation, Nikolai guides Jonathan, teaches it, helps it to grow, and even gives it a purpose to fulfill once the time comes. The simple, yet beautifully detailed drawings by the talented artist Jack Katz really help to portray the connection between Nikolai and Jonathan and can be found scattered through the story. As far as characters go, Nikolai and Jonathan are the only two and while Sobin did not focus too much on Nikolai, he did a fantastic job in creating Jonathan. The character is very complex, as machines are, yet also almost human. The machine’s speech reads like how a machine would speak, but with subtle hints of human emotion. Whenever it talks about Nikolai and what he taught it, readers will notice a slight change in its speech. What is most intriguing as, like with Nannybot A3-4 in Pet Human, Jonathan describes the very essence of what it means to be human better than any human could. How often do quick reads really draw someone into a story the way novels can? 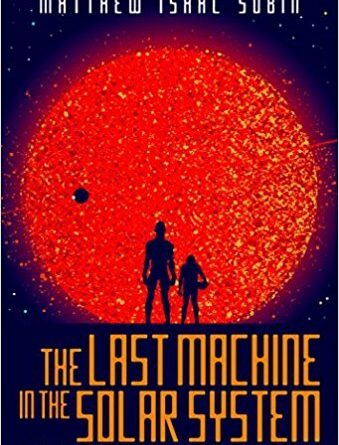 Sobin’s debut novelette The Last Machine in the Solar System does just that, making for an excellent addition to the writing world as well as to any bookshelf. He is able to weave together a story that grips one’s attention from start to finish with incredibly believable science fictional facts and an intriguingly tranquil writing style. Perhaps the only downside to the story is that it is not longer. Readers will want more upon completion, but Sobin has assured his readers that there will be more stories of Johnathan and Nikolai to come. What will be in store for the future? More stories of the extinction of humanity? Will a future story be told in the perspective of Nikolai? Only time will tell. 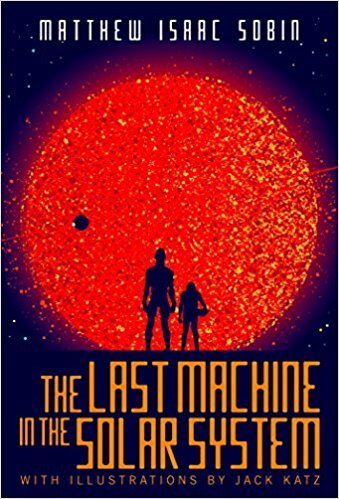 For now, The Last Machine in the Solar System is another excellent addition to the ever-growing Inkshares library and readers will be anxious to see what Sobin writes next.